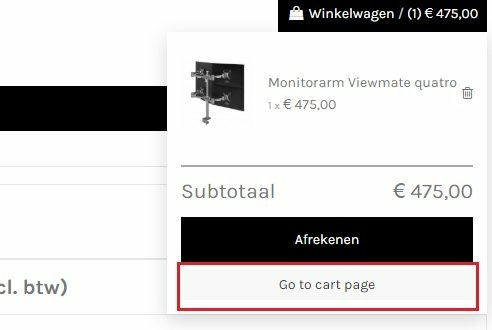 I've been looking around everywhere but I am unable to edit the sentence "go to cart page" in the tiny menu. See image. I've looked in all possible setting in the Translation area, this sentence isn't found anywhere. I also don't want to change it in the root since I'm using 2 languages for the website. Any idea where I can find this block to translate?